Last week a new service was launched to help find tourists who have gone missing while trekking in Nepal. 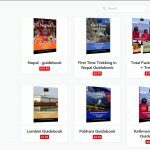 The site, MissingTrekker.com is intended to be a comprehensive database of missing trekkers, and was set up by travel blogger and guidebook writer David Ways, when he discovered no such record is kept by Nepalese authorities. Dave is the man behind the popular travel blog The Longest Way Home, which he set up when he started backpacking over ten years ago. After travelling all over the world he settled in Nepal and began writing guidebooks. He was frequently contacted by friends and family of trekkers who had gone missing. He tried to help them using his network of contacts in Nepal, but was frustrated by the lack of information about what to do, where to go, or who to ask for help. 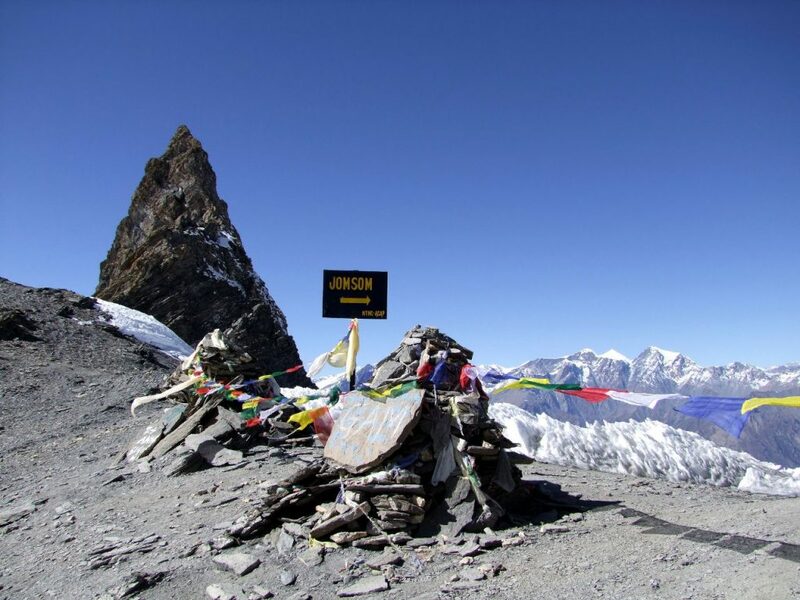 More recently he started writing a blog post about trekker safety, but when he looked for official data on trekkers who had gone missing, he discovered that no record was being kept by government, police, or tourist bodies such as the Trekking Agencies’ Association of Nepal (TAAN). He realised that he was in a position to fill this gap, and hoped that by doing so the authorities would understand the need to keep such records themselves. MissingTrekker.com allows friends and family to post information about missing trekkers and mountaineers, such as photos, a physical description and where they were last seen. But it’s important to remember that this is a last resort to be used after other avenues have been exhausted. There is a whole series of steps to be followed before reaching this point, and MissingTrekker.com helps with all of these too. It’s a database of trekkers who are missing, but it’s also a comprehensive resource about trekker safety. So what should you do if you think someone you know has gone missing while trekking in Nepal? First you should consider whether they are really missing, because coordinating a search can be costly and time-consuming. MissingTrekker.com offers advice on other possible scenarios before taking the first step of calling for help. If you decide to report someone as missing, you need to gather certain information about the trekker and their movements before contacting the relevant authorities. There is a checklist of information to collect on the website, as well as a list of contacts. The first point of contact should be the trekking agency they used to organise their trek (if they had one). If the agency is good, they will be able to help with many of the other steps. For more information, see how to report a missing trekker on the MissingTrekker.com website. But let’s take a step back. If someone is reported as missing, then something has already gone wrong. There’s a lot that can be done in advance to plan for this and make contingencies. Nepal has no mountain rescue service like you find in Europe, the United States and other parts of the developed world. Mountain rescue services are often funded by government, or are charities staffed by experienced volunteers. Much of the cost of carrying out a rescue is already covered. Sometimes they will provide the service, but they will expect your travel insurance to pay for it. Reading the description on MissingTrekker.com of how a search for a missing trekker is carried out, it becomes clear that in Nepal the process is very ad hoc. Various authorities, like the tourist police, Nepal Tourism Board and TAAN, are supposed to coordinate with one another, and make phone calls to various checkpoints along the trail, where a trekker’s details may have been scribbled down in dog-eared logbook as they passed through. The site also provides an answer to one very important question. Who pays for a rescue? You do, is the fast answer. If you’re going to be trekking in Nepal (or anywhere else), it’s important to get travel insurance that covers search and rescue, or your kind-hearted and worried relatives may end up footing the bill. If you’re a mountaineer then it’s likely the insurance you bought to cover your activity not only includes search and rescue, but helicopter evacuation. Not all travel insurance policies for trekking do though. 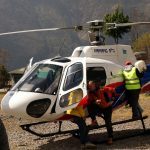 In Nepal (and most places) helicopter services can be expensive. Because they are often private companies without government funding, they could end up costing even more than a hospital bill. MissingTrekker.com also has some useful safety tips every trekker should consider before they set out, such as emailing passport and insurance details to someone, hiring a porter or guide, informing your hotel in Kathmandu of your itinerary, and taking it easy by not rushing your trek. Browsing through the faces on MissingTrekker.com is a poignant experience. Currently there are just five people listed, all of whom went missing this year. They are listed as missing, but you can’t help thinking there is little hope of finding them alive. At some point during their dream holiday something went tragically wrong, a sudden slip in the wrong place, an act of god at the worst possible moment, or just some unlucky route finding – the sort of accident that has happened to all adventurous people at some point in their lives, without any adverse consequences. There is Vitaly Bazlov, who was last seen on the west shore of Tilicho Lake, a bleak location in the Annapurna region, often described as the highest lake in the world. The altitude is 5000m, and the lake is sufficiently large to remain unfrozen. If you slipped and fell in, you would only survive a few minutes. Then there is Nassim Nador, a French trekker who went missing last month. He was last seen crossing the Imja Khola river in the Khumbu region between Deboche and Pangboche. The current flows quickly, and there are many boulders. It would be easy to get dragged under or dashed against rocks. The body of one trekker, a young Romanian woman called Adina Monica Popescu, has already been found. She is believed to have been caught in a landslide between Chomrung and Ghandruk in the Annapurna foothills. What stood out most of all when I read their stories, is that most of them were trekking alone. Some of them set out to trek in this way, while others were alone for only a brief period when they became separated from their group. This is hardly surprising – if they were with someone, then they wouldn’t be missing. I’ve done plenty, if not most of my hill walking on my own. I’ve rarely reported my movements to anyone in advance, because I don’t want them to get worried if I change my plans and take longer than expected. I’ve been lost many times and delayed for hours as a consequence, but I’ve always returned safely. On group treks, I often walk at my own pace away from others in my group because I enjoy the solitude. These stories hit me hard. In 2009 I even spent a week backpacking on my own in the Gokyo Valley area after climbing Mera and Island Peaks with my friend Mark. It was a blissful experience, but I was conscious that there were any number of places where I might have become lost, or slipped and fallen. I walked a section between Pangboche and Phortse after fresh snowfall, when avalanches were a risk. Had anything happened to me, then it could have been days or weeks before anyone found me, or realised I was missing. I don’t think there is any problem with solo trekking if you are experienced enough. Life is too short to wrap yourself in cotton wool. After all, you are only walking. But you need to be careful and measure the risks you are taking. There have been various calls by trekking bodies in Nepal to ban solo trekking, but with the right precautions and infrastructure in place, tourists should still be given the freedom to enjoy this unique experience. MissingTrekker.com provides a valuable resource to enable this. The site is in its infancy, but it already provides a good deal of useful information. In an ideal world the site wouldn’t be needed. 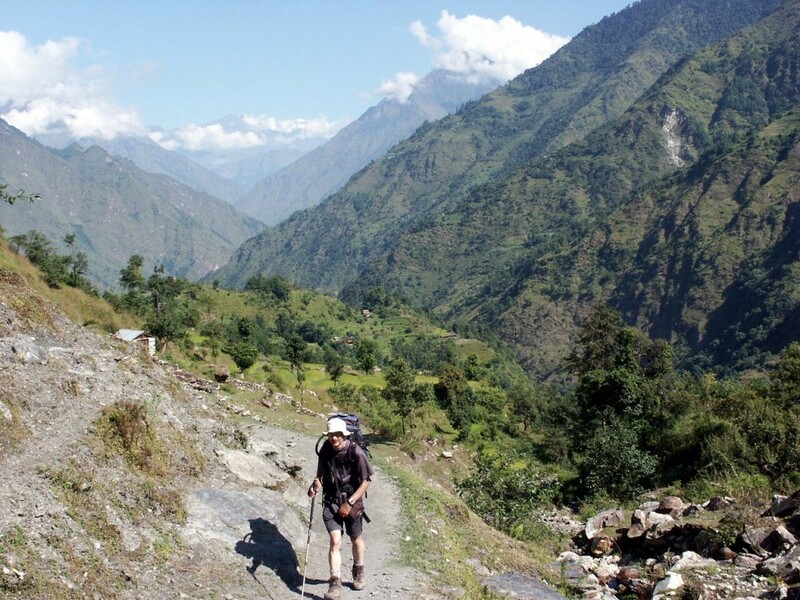 Given the importance of tourism to Nepal’s economy, the authorities could be doing a lot more to ensure trekker safety. I hope that over time they will follow Dave’s example, and improve their processes and the service they provide. But in the meantime let’s not rely on this. There is lots we can do to help ourselves. 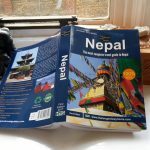 If you’re thinking of trekking in Nepal then I recommend heading over to Dave’s website, where he has some great resources for every aspect of travelling in Nepal, such as places to go, how to get around, and tips on travelling alone, changing money and finding an internet connection. It’s important to remember that he needs to earn an income to continue all this good work. You can help out by buying one of his guidebooks, which make Lonely Planet look like Ladybird Books. Is the first photo the top of the Tharong La?